The Top 10 Personal Finance Books That You Must Read Right Now! The Best Personal Finance Books that Must Be on Your Bookshelf! Whether you are looking for a great present for a loved one this holiday season or just want to learn more about taking control of your finances, any of these ten personal finance books listed below are a great choice. In fact, they should already be on your bookshelf or nightstand. These are the top ten personal finance books that everyone should read. If you didn’t know that I absolutely love this book, then you don’t read Money Q&A very much. Maybe you are new. That’s okay. It is an incredible book. It is where everyone should start. It walks you through saving for an emergency fund, getting out of debt, starting to invest, saving for college, paying off your mortgage, and reaching financial peace in your life. You need this book if you do not read any other on this list. Get this book! 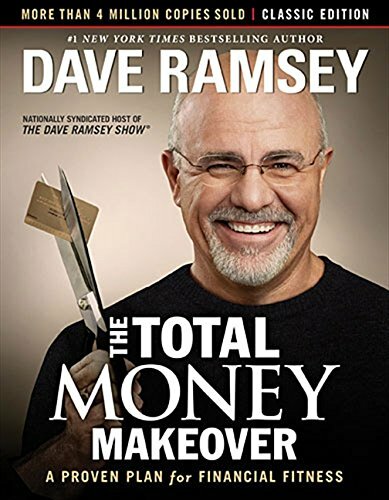 In The Total Money Makeover , Dave Ramsey provides readers with his system for seven baby steps to financial freedom that includes paying off your debt, investing 15% of your income for retirement, saving for your children’s education, paying off your mortgage, and living like no other financial peace. I love David Bach’s book, The Automatic Millionaire! This book is one of the first personal finance books that I ever read. Now almost two decades later, David Bach’s Latte Factor is now a common phrase in our frugality vernacular. The book shows how anyone can achieve financial success by cutting out unnecessary expenses, paying yourself first with your investments, and set up a simple plan of how you can retire a millionaire and live the life of your dreams. 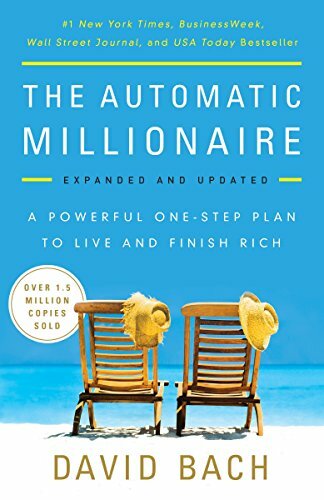 The Automatic Millionaire is a bestselling classic that has spanned a whole genre of personal finance books that feed off his system such as Smart Couples Finish Rich, The Automatic Millionaire Homeowner, Start Late Finish Rich, and many others. Benjamin Graham is considered one of the greatest investment advisors of the twentieth century. Graham pioneered the philosophy of value investing which shields investors from substantial error and teaches them to develop long-term strategies and has made The Intelligent Investor the stock market bible ever since its original publication in 1949. Over the years, market developments have proven the wisdom of Graham’s strategies and made his book one the best personal finance books on the market. Millionaires have many of the same traits as each other. The bestselling book, The Millionaire Next Door, identifies seven key common traits that show up again and again among those who have accumulated wealth. Most of the truly wealthy in this country don’t live in Beverly Hills or on Park Avenue. They live next door, right under your nose without you ever realizing it for the most part. What makes these neighbors so successful? Thomas Stanley and William Danko reveal those key traits in their best-selling book. Your day does not start when you get out of bed. It actually begins when you get home from work. For a typical person, he or she spends approximately eight hours per day sleeping. Another eight hours of our day are lost to our job. But, there are eight hours of our life that we control, and it is those eight hours that define us, define our financial freedom, and in many cases define our happiness in life. I absolutely love The Other 8 Hours! It really opened my eyes to the way that I was spending the time when I wasn’t working or sleeping. David Chilton simplifies the complex puzzles of personal finance and helps you achieve financial independence. 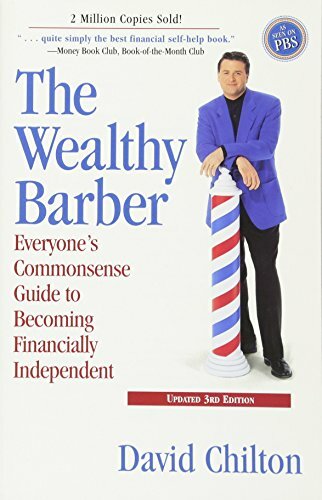 With the help of his fictional barber, Roy, and a large dose of humor, Chilton shows you how to take control of your financial future slowly, steadily, and with success. Chilton’s plan in The Wealthy Barber that is detailed in an entertaining story is no get-rich-quick scheme, but it does make financial independence possible on nothing more than an average salary. 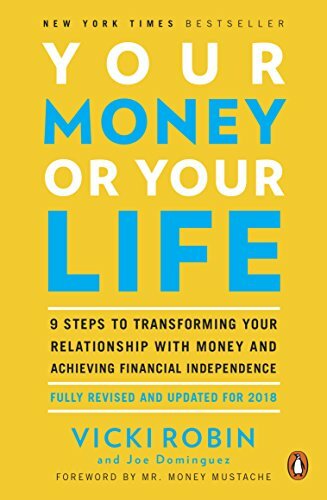 In an age of great economic uncertainty when everyone is concerned about money and how they spend what they have, this new edition of the bestselling Your Money or Your Life is an essential read. With updated resources, an easy-to-use index, and anecdotes and examples particularly relevant today, it tells you how to get out of debt and develop savings, reorder material priorities and live well for less, resolve inner conflicts between values and lifestyle, save the planet while saving money, and much more. In Your Money or Your Life, Vicki Robin shows readers how to gain control of their money and finally begin to make a life, rather than just make a living. Your Money Or Your Life offers a nine-step program for living more meaningful lives, showing readers how to get out of debt, save money, reorder priorities, and convert problems into opportunities. Do you have a hobby you wish you could do all day? An obsession that keeps you up at night? Now is the perfect time to take those passions and make a living doing what you love. I have always loved this book! This is a book that every budding entrepreneur needs on his or her nightstand. Read by millions, this timeless book holds the key to success in the secrets of the ancients. Based on the famous “Babylonian principles”, it has been hailed as the greatest of all inspirational works on the subject of thrift and financial planning. 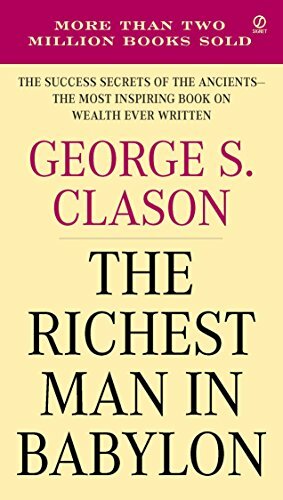 This celebrated bestseller, The Richest Man In Babylon, offers an understanding of and a solution to personal money problems, revealing the secrets to acquiring money, keeping more money, and making money earn more money. 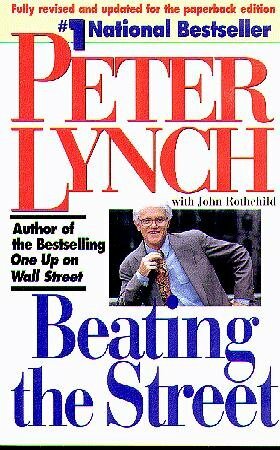 Peter Lynch’s “invest in what you know” strategy has made him a household name with investors both big and small. An important key to investing, Lynch says, is to remember that stocks are not lottery tickets. There is a company behind every stock and reason companies and their stocks perform the way they do. In Beating The Street, Peter Lynch shows you how you can become an expert in a company and how you can build a profitable investment portfolio based on your own experience and insights and on straightforward do-it-yourself research. Did I miss one of your favorite personal finance books? I’d love to hear what you keep on your nightstand and refer back to often. I’d love to hear your thoughts in the comment section. I’m always looking for more books to add to my reading list, and I’ve only read one of those already. 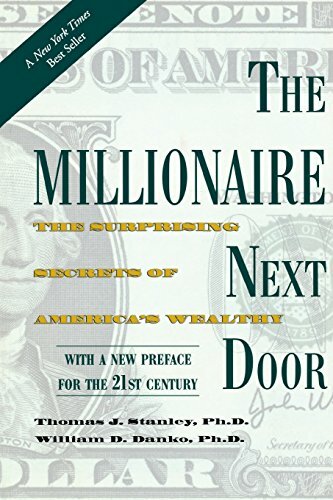 I absolutely love the Millionaire Next Door and think everyone should read it at some point in their lives. As society we have built up this strong connection between having a lot of money and living an extravagant lifestyle, and I think we need to break that association. It’s only true in a small minority of situations, and it leads people to make bad decisions. Only one?? You are definitely missing out. These books are great and should be a staple to anyone who wants to read and learn about finances and investing. Dave Ramsey’s book and following him also changed my life. I will be sure to add “The Two Income Trap” to my reading list. Sounds great! Thanks! I’m not a fan of Crush It. I don’t know why, but that book didn’t do anything for me. I am a huge fan of Gary Veynerchuk. His energy is simply infectious! While I absolutely loved Crust It, I’m actually not a big fan of his 2nd book, Thank You Economy. I can’t wait for his 3rd book…hopefully that one will be better. He signed a 10 book deal. I love The Millionaire Next Door (which is probably why I bought a ton of the paperback and use them in giveaways). Dr. Stanley’s newest title, Stop Acting Rich is a great read too. And, I think Larry Winget is great at telling people how it is, not sugarcoating things, and opening up peoples’ eyes. I haven’t read any of Dr. Stanley’s other books. So, I will definitely check out Stop Acting Rich too. Thanks! You have put together a great list. All of these books have something we can all learn regardless of our current level of knowledge. I try to read these types of books but I often just want a break and feel like reading fluff. I need to get better at this and get back to reading some PF books. Fluff is good every once in a while. But, there are studies that have suggested many of the most successful people read one non-fiction book per month. Great reading list. I can proudly report that I have read 50% of these. Must get moving on the second half. You are in the minority having read so many. Great job. Think and Grow Rich was a great one that while criticized as being too “woo-woo” it really helped me think long term about my goals and get real about my daily decisions and way of thinking. I had financial goals before but until I read this book I felt my head wasn’t really in the game. Another I had to have was Money Girl’s Smart Moves to Grow Rich by Laura Adams- love her podcast and her book! You make me laugh! How do you define “woo-woo”? I think I know what you mean though. And, you are 100% right about Laura Adams’ book and her podcast. They are both great! I especially love her podcast and have been listening for a long time! I’ve heard that the Wealthy Barber is specific to Canadians….is this true? Great list of books, Hank! I read most of them, but the ones I haven’t , I will make sure to add to my “read” list. Another book that I like is Rich Dad Poor Dad by Robert T. Kiyosaki. I will read some of the books on this list that I have never heard of like crushing it. I have been a Dave Ramsey Fan also so I read TTMM, TMND, TAM, but you missed one that has good advice on how to begin thinking about investing with Real Estate. Rich DAD POOR DAD. Believe me I have a ton of financial books, most of what you have listed. My choice for the best over all would be “The Truth About Money” by Ric Edelman. He actually has several good books but TTAM is one of the best books there is. The college personal finance text books I have doesn’t compare to this on. The Total Money Makeover, The Richest Man in Babylon and The Wealthy Barber. Hi. You left out ‘Rich Dad Poor Dad’. …. You seem to have left out Rich Dad Poor dad….. The blog is for people who are actually having a total “financial meltdown” also a must read for those who are still venturing in the world of Entrepreneurship. The books are also helpful to ordinary people who are having a hard time to earn and save money. I’ll rate it a 5/5. Great list. Thanks Hank. I’m always looking for good books to help further my financial education. Great list. I’d like to add one that I recently read a book titled “Build Wealth and Spend It All” by author Stanley Riggs. It was a very interesting read, as it takes you on a different course than the typical financial planning book. The author not only focuses on building wealth, but actually outlines plans for, and encourages, spending it! Riggs has personal experiences with what can go wrong from a life of investment and frugal saving. He very smartly teaches what you can do about it. Currently on my nightstand: ‘The Annuity Stanifesto’ by Stan G. Haithcock. I can’t recommend it enough. 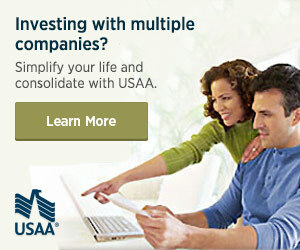 Its helping me to wrap my head around where annuities properly fit within a portfolio. The topic always freaked me out to be honest, but this book has opened my eyes to the possibilities of using strategies (like leveraging, laddering and splitting contracts). The author is abrasively factual, but motivating with his honesty. Its a comfort to have somebody go over the good, the bad, and the limitations of each strategy. I actually plan on reaching out the author via his website to enlist his help in the near future. One of my favorite financial books: Brokers, Financial Advisors & Insurance Agents – An Investigative Process – the Book that Some May Not Want Their Clients to Read (ASIN: B00DQGIRXM). BTW, I have been working in brokerage industry for several years and could not agree more with the author. Absolutely love The Wealthy Barber by David Chilton. It was the first readable book on personal finance that I ever read, and its still a classic. I recommend it to anyone who is not a personal finance junkie, but interested in a brighter future. I heard The Millionaire Next Door is a really good one and it is on my todo list. 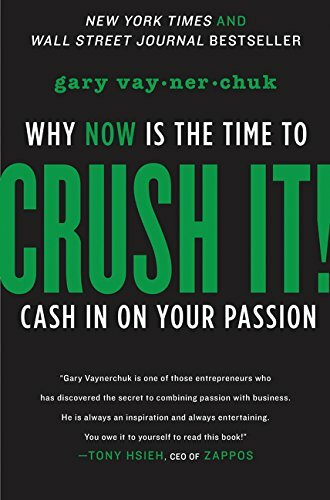 A great book to read (especially for beginners) is MONEY Master the Game by Tony Robbins, Rich Dad Poor Dad by Robert T. Kiyosaki, Think and Grow Rich by Napoleon Hill. Keep on reading, it’s Important! The Intelligent Investor (if you want to learn a lot about investing) and Crush It! are both awesome books! I would add: How to Start Building Your Wealth Investing in the Stock Market by Andrew Stotz. In contrast to guys like Tony Robbins and Robert T. Kiyosaki he actually knows about investing and has done that for his whole career. This book is great if you don’t want to spend a lot of time and become a stock picker, but want to reap the benefits from investing in the stock market. The Little Book Series are also really great. I’ve read The Little Book… : …that still beats the market, …of Behavioral Investing, and …of Common Sense Investing. All three gives an excellent overview to see if that style/field is something for you. You have a solid list of classics. This is a great list and I have read most of them. I recently read his book “The Money Queen’s Guide” by Cary Carbonaro. Who has wonderfully explained how a woman (of all ages) can manage their finance. She has quoted personal examples which make the things suggested by her doable. Hi Hank. Thank you for sharing this list and for calling out for new titles. Author and investment manager James Demmert wants to be on your next book list with his title “The Journey To Wealth”. I like “If You Can,” by William Bernstein….and get my college students to read it. Short, sweet, and free (or really cheap). Financial Fitness by Chris Brady and Orrin Woodward has made a tremendous impact on our personal finances. While very important, there is more to finances than just saving money and getting out of debt. The authors provide the reader with a solid education and practical application through their 47 principals.